“Engagement with and understanding of nootropics have increased substantially over the past few years,”​ Matthew Oster, head of consumer health research at Euromonitor​​, told NutraIngredients-USA. This is especially true for younger consumers active in online environments such as the eSports community who have become much more concerned with maintaining and improving mental sharpness and consider cognitive adaptability, creativity and focus critical factors of healthy aging, Oster added. 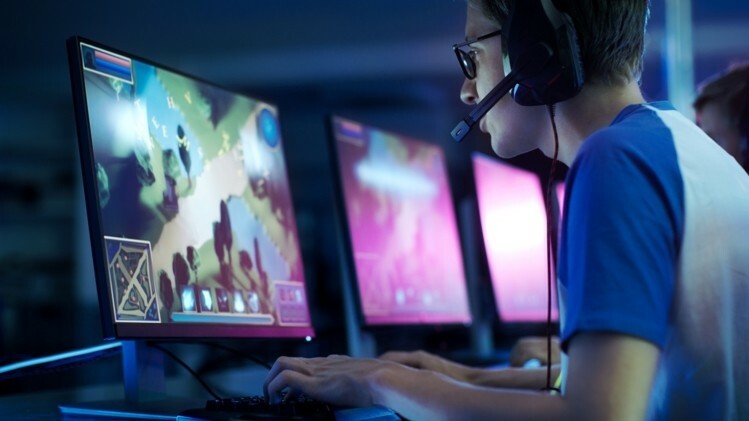 Globally, eSports encompasses an audience of 380 million and North America represents the largest market with projected revenues of $656 million by 2021, up from $345 million this year, according to video game market research firm Newzoo​​. “It is an industry dominated by the need for an edge in mental acuity, reflexes, alertness and awareness, so it seems like a natural fit for nootropics companies to expand their reach,” ​Oster said. Nootropics brands would be wisely spending their marketing dollars on social media engagement as much of the eSports community are avid users of these platforms. “The esports community is extremely active on social media, so there's a higher likelihood that a particular nootropics brand will see increased consumer recognition and engagement based on its relationship with eSports,”​ Oster said. Sponsorship of eSports teams and players has become the fastest-growing revenue stream in eSports representing 40% of the $1.2bn global revenue and registering 53.2% year-over-year growth, according to Newzoo's data. Silicon-Valley direct-to-consumer nootropics startup, Nootrobox, has caught onto the sponsorship opportunity by striking a partnership with the eSports team, Gankstars, in 2016. Koios, a functional nootropics beverage brand based in Canada, also has a newly-minted sponsorship deal with North American eSports group, Team Impulse. “As a business, eSports is now entering a new and critical phase toward maturity. Big investments have been made, new league structures have been launched, sponsorship budgets have moved from experimental to continuous, and international media rights trade is starting to heat up,”​ Newzoo CEO Peter Warman commented. “Many claims for nootropics are variations on a theme: You're overwhelmed, exhausted, stressed out, losing concentration; you need something that reorients or recharges your brain to allow you to achieve your goals,” ​Oster said. Popular nootropics ingredients found across well-known brands such as Mind Lab Pro, God Mode, Nootrolux, include variations of theanine, betalains, luteolin, choline, theobromine, and others, all of which tout some sort of mental sharpness benefit. Despite a largely untapped audience of the still emerging competitive online gaming audience who have a demonstrated interest in staying mentally sharp, US supplements with health cognition claims represent around 4% of the entire US supplement market in 2017, according to Oster. “The selling case is an easy one, and one that could have significant staying power; any product that makes a direct case to improve or maintain cognition, memory and recall, and focus will have a ready-made audience,”​ Oster said.